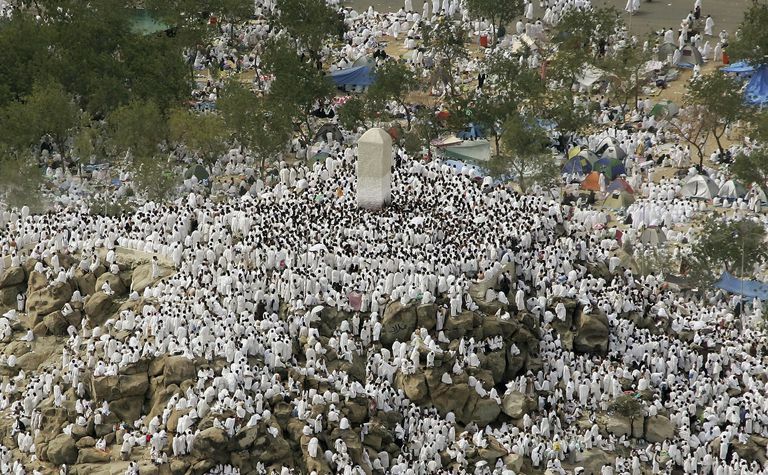 Pilgrims gathered at Mount Arafat, a revered place in Islam, for the climax of the hajj pilgrimage. In the Islamic holiday calendar, the 9th day of Dhul-Hijjah (the Month of Hajj) is called the Day of Arafat (or Day of Arafah). This day is the culminating event of the annual Islamic pilgrimage to Mecca, Saudi Arabia. Because the Day of Arafat, like other Islamic holidays, is based on a lunar calendar rather than the Gregorian solar calendar, its date changes from year to year. The Day of Arafat falls on the second day of pilgrimage rituals. At dawn on this day, nearly 2 million Muslim pilgrims will make their way from the town of Mina to a nearby hillside and plain called Mount Arafat and the Plain of Arafat, which is located about 12.5 miles (20 kilometers) from Mecca, the final destination for the pilgrimage. 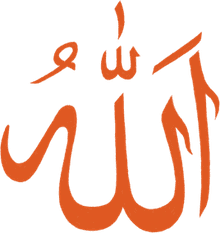 Muslims believe that it was from this site that the ​Prophet Muhammad, peace be upon him, gave his famous Farewell Sermon in his final year of life. Every Muslim is expected to make the pilgrimage to Mecca once during his or her lifetime; the pilgrimage itself is not considered complete unless the stop at Mount Arafat is also made. Thus, the visit to Mount Arafat is synonymous with the Hajj itself. Completion involves arriving at Mount Arafat before noon and spending the afternoon upon the mountain, remaining until sunset. However, individuals who are physically unable to complete this portion of the pilgrimage are allowed to observe it by fasting, which is not practiced by those making the physical visit to Arafat. During the afternoon, from about noon until sunset, Muslim pilgrims stand in earnest supplication and devotion, praying for God's abundant forgiveness, and listening to Islamic scholars speak on issues of religious and moral importance. Tears are shed readily as those who gather make repentance and seek God's mercy, recite words of prayer and remembrance and gather together as equals before their Lord. The day closes upon the recitation of the evening prayer of Al-Maghrib. Muslims around the world who are not participating in the pilgrimage often spend this day in fasting and devotion. Both government offices and private businesses in Islamic nations are generally closed on the Day of Arafat to allow employees to observe it. The Day of Arafat is, therefore, one of the most important holidays in the entire Islamic year. It is said to offer expiation for all sins of the prior year, as well as all sins for the upcoming year.